Do you want to get a bit more organized? 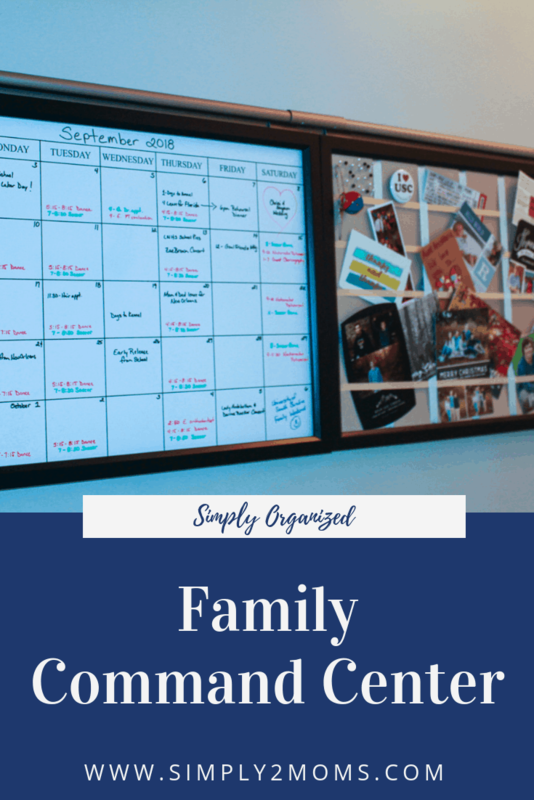 Our family command center is an area in our house that really keeps us organized. It’s amazing how such an easy area to put together can help our family in such a big way. 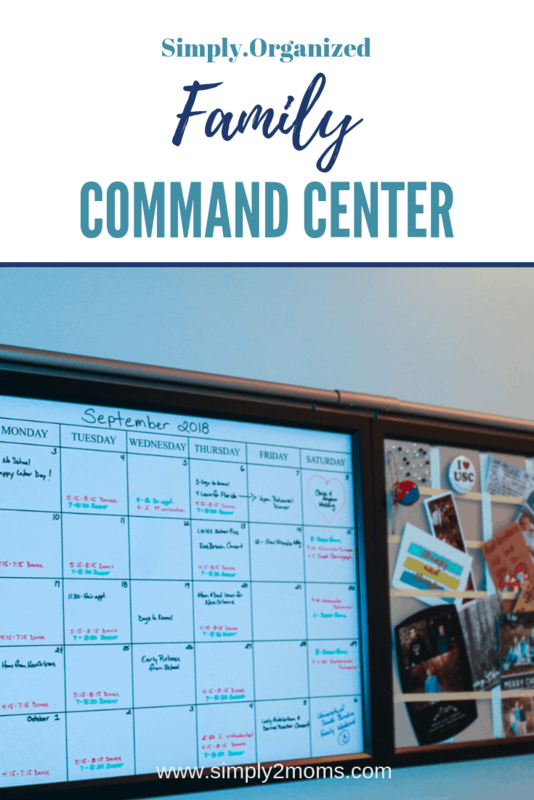 There are lots & lots of ideas for setting up a family command center. Some are pretty, some are functional, some are elaborate and some are simple. But I think the most important thing in a family command center is making it work for your family! We’ve had some sort of system since my oldest started school many years ago. Now he’s a junior in college. What? How did that happen? Ok, now I’m sad thinking about how fast those years have gone. Seriously though… I can’t be that old…can I? Pity party over…back to our family command center….once the school papers started coming into the house we needed a place to organize those papers. 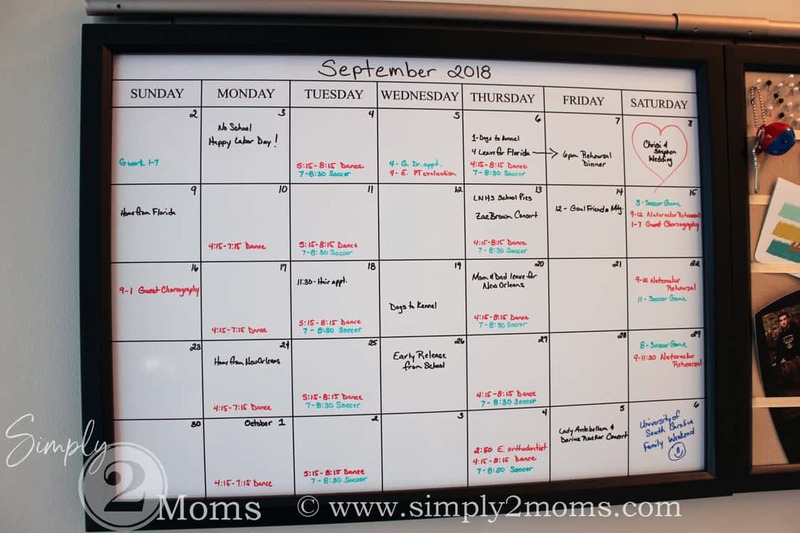 Keeping our family schedule posted when the kids started with multiple activities was also important. Our family command center has evolved over the years. We did invest in the Pottery Barn Daily System after moving into our current house years ago and it’s been worth every penny. The space for our command center is small… it’s hanging on a short wall in our hallway from the garage into the kitchen. We started out with the whiteboard calendar, linen pinboard and 2 letter bins from the daily system. When our children were in elementary school, we needed the letter bins to corral homework, reading and spelling books. But as they grew up they no longer needed those bins and they became a place of clutter. I don’t know about you but I despise clutter! So….out the letter bins went! Well, actually, I sold them on our local yard sale online page. Haha! 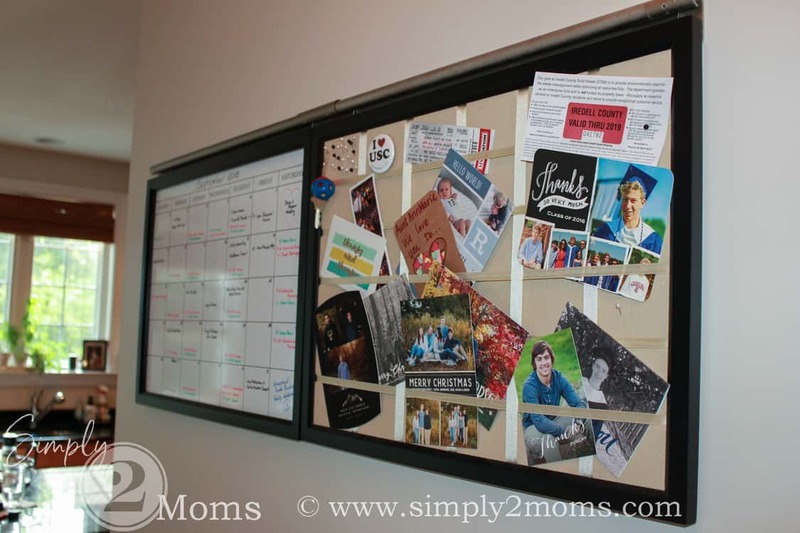 Currently, our family command center has just 2 pieces….a whiteboard calendar & a linen pinboard. I update our family calendar monthly with everyone’s schedule. We color code all of our activities & appointments. Our daughter is red, our middle son is green, our oldest is blue and mom & dad or family events are written in black. We all know where to look to see what we having coming up for the day, week or even month. If I had the wall space I’d totally add another calendar. It’s such an easy but functional item to keep our schedule. 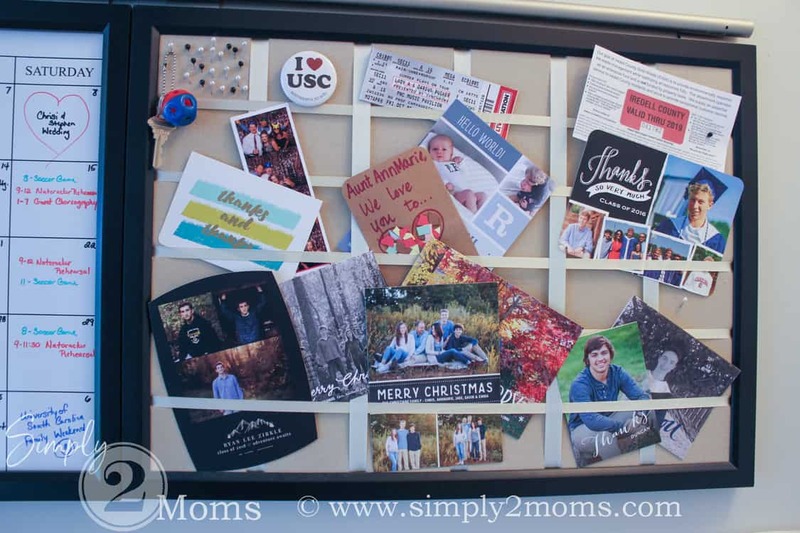 The linen pinboard holds lots of things…invitations, thank you notes, upcoming event tickets, printed schedules, etc. If we are looking for something important…maybe that new registration card that came in the mail, an invitation or a parking pass…it can usually be found tucked into our linen pinboard. But honestly… I just love to display all those special cards. 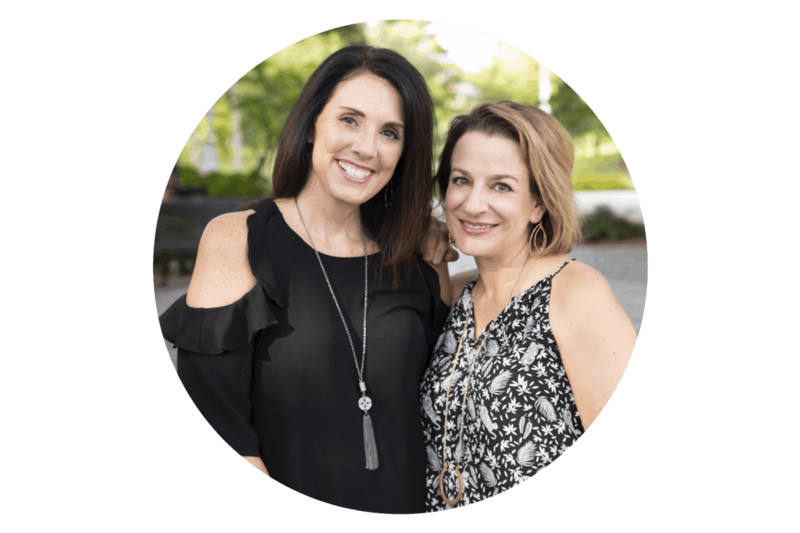 These simple 2 items keep my family organized every day! 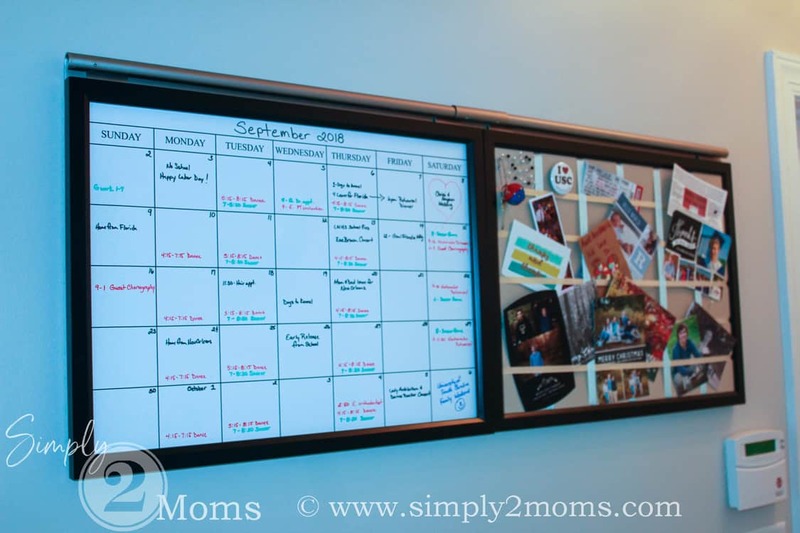 It just goes to show you that a command center doesn’t have to be elaborate to be functional as long as it works for your family! Need some more inspiration? 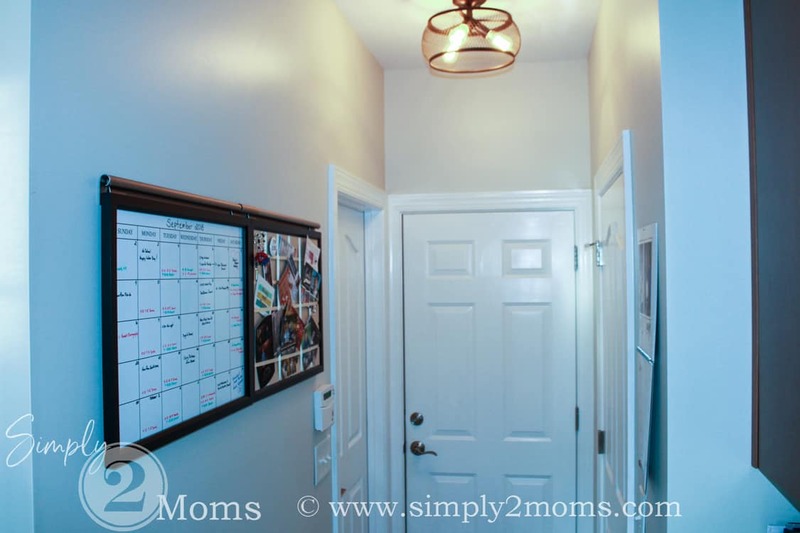 Check out our “Get Organized” Pinterest board for more Family Command Center ideas!